Blockchain is often touted as a disrupting factor in the financial services industry. This exciting technology is an open ledger system that facilitates direct transactions between parties, in turn bypassing financial institutions entirely. Blockchain was first developed as the technology that supports Bitcoin, but has since progressed to other virtual currencies and transaction systems. The system's integrity is guaranteed by sophisticated computer coding that creates a chain of blocks in succession. Since each block is connected to the next on the chain, the previous transactions cannot be undone or erased. The entire ledger remains open and accessible, living on several machines and confirmed by a large network of nodes. This means it is extremely hard to hack blockchain and trustworthiness is built into its very framework. There is a catch due to it's limited size processing speeds are quite slow. In 2015, The Economist reported that Bitcoin moved only about 7 transactions per second. Visa, by contrast, handled 1,736 transactions in the same time period. That limitation has led some to question whether blockchain will ever replace traditional financial transaction platforms. New add-ons to blockchain technology provide options to expedite transactions, so near-instantaneous funds clearance may soon be possible. In August 2016, The Huffington Post noted that Bitcoin takes about 10 minutes to create a block, but that slows to about an hour when there's a lot of traffic on the system. But new innovations, such as lightning networks, make transactions quicker and easier to scale. Ethereum, a rival cryptocurrency to Bitcoin, told the International Business Times that its lightning network Raiden allows for multiple transactions to happen rapidly, within the network of multiple users and "smart contracts" within the block chain. As The Economist noted in a 2015 article, "smart contracts" are encoded instructions within blockchain for transactions to happen only under certain circumstances. That same article envisioned eventual smart contracts that would enable invoices to pay themselves once conditions are met, eliminating the need for time-consuming approval of receipt of goods or services by a person. Heiko Hees, the creator of Raiden, told The Huffington Post that rapid blockchain technology opens the door for more real-world applications of digital currency. Rapid settlement makes the technology appropriate for gaming, finance, retail transactions and payment for online content. In addition, Hees foresees a time when blockchain is used as an alternative to traditional banking altogether, through machine-to-machine transactions without the clearing house of a chartered bank. Despite blockchain's innovations, financial experts caution it still has a long way to go. In April, 2017, the Business of Blockchain conference at the Massachusetts Institute of Technology (MIT) hosted Robleh Ali, formerly head of digital currency at the Bank of England. Ali said blockchain shifted perceptions of the potential for digital payments. However, Ali's co-panelist, James Cunha of the Federal Reserve Bank of Boston, noted consumers might not be ready for direct transactions. Without the banks acting as middlemen, the legal structure between buyer and seller is entirely different. In addition, figuring out when a payment is final is more problematic on digital currency platforms, since the governance structure is different on each one. Finality for a Bitcoin transaction is not necessarily identical to that on Ethereum, for example. 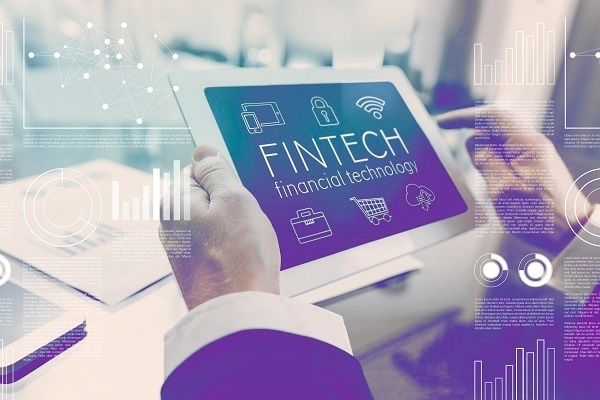 Although the potential for disruption appears great with blockchain technology, there is still time for traditional financial institutions to catch up and make use of this innovation. For consumers, the future seems bright. Eventually, they may have greater access to transaction capability without a bank setting the terms of payment flow.